I love chips and dip. Taco dip, guacamole, salsa, French onion, hummus… I’m the weirdo hovering by your dip bowl at the party. Hovering? More like hoovering. I really want to host a chips and dip dinner party. I don’t know if anyone would come, but I could probably eat the entire spread myself. Just sayin’. 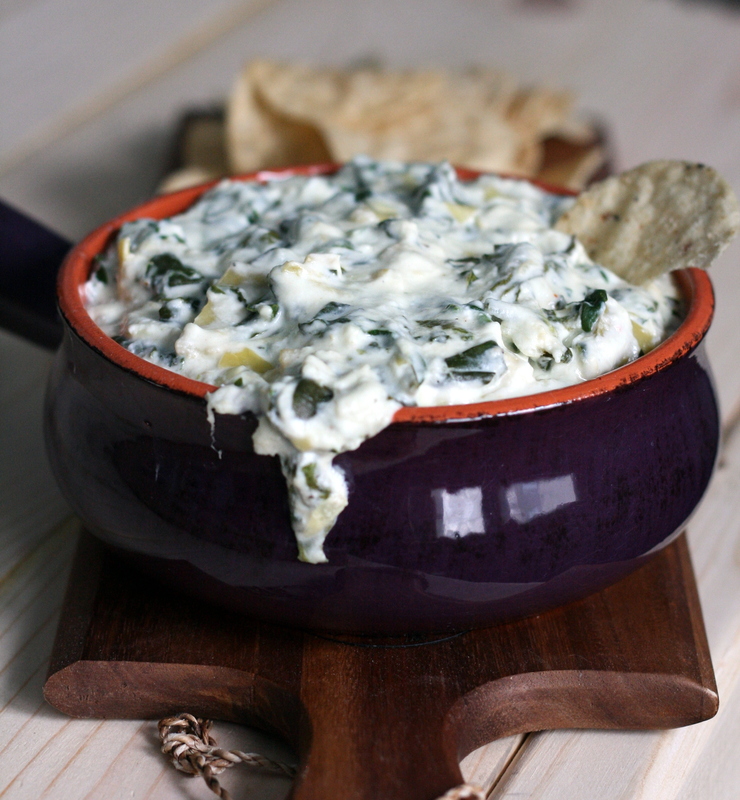 Spinach artichoke dip is one of my favorites to dip in, but all that cheese – oh goodness. I did my best to lighten it up while still keeping that to-die-for richness. I opt for fresh spinach, but feel free to sub in a package of frozen chopped spinach; just make sure to thaw and drain it before stirring it in. 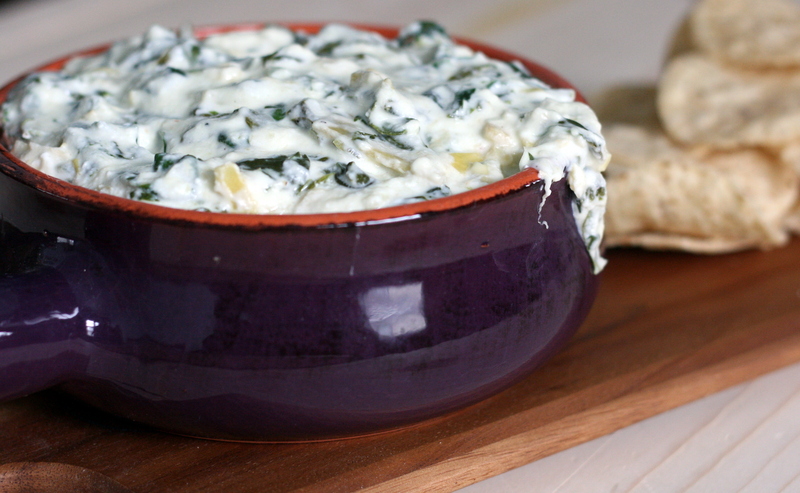 In a medium pot, combine, spinach, garlic and artichoke hearts. Cook over medium heat until spinach is just wilted. Stir in cream cheese, yogurt, mozzarella, Parmesan, and red pepper flakes. 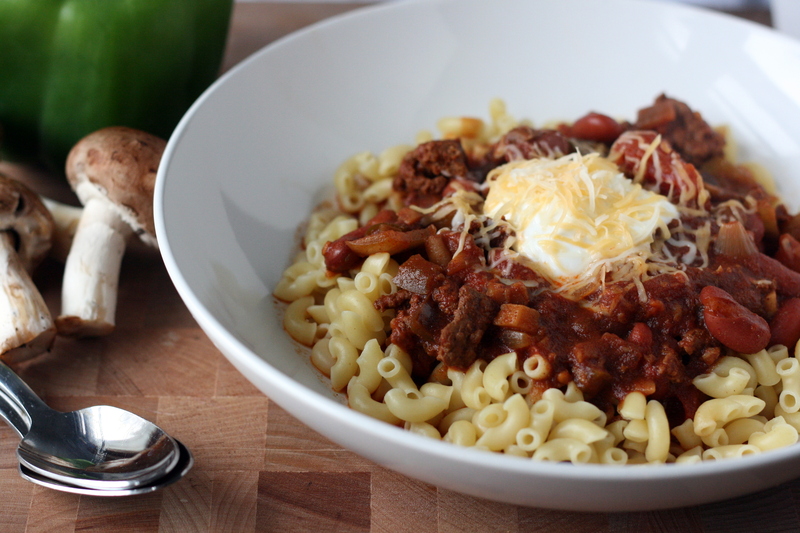 Continue to cook, stirring frequently, until cheese is melted and ingredients are blended. Bake at 350 for 20-25 minutes or until bubbly and golden brown. 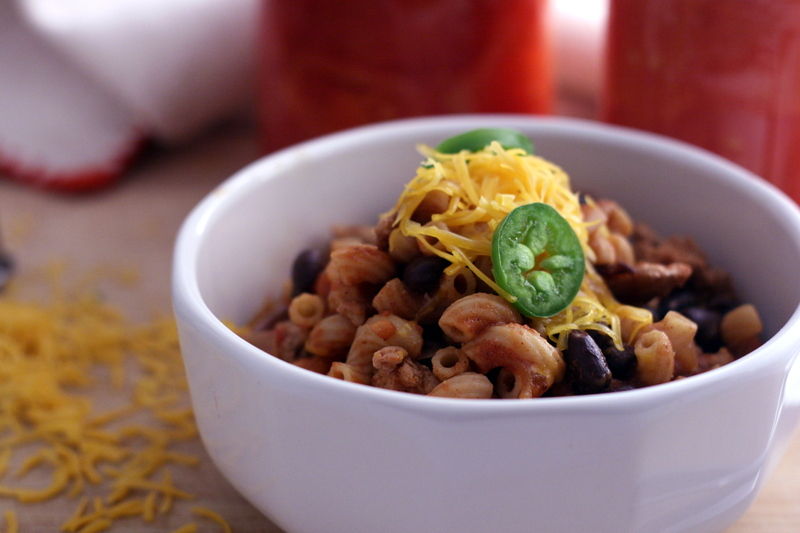 Slow cooker instructions: place ingredients into a slow cooker and heat on low for 3-4 hours or high for 2 hours. Stir well before serving. Categories: Appetizers & Snacks, Food, Quick & Easy, Slow Cooker/Crock Pot | Tags: appetizer, dip, quick and easy, slow cooker, snack | Permalink. Preheat oven to 325°F. Line a mini cupcake pan with paper liners and set aside. Prepare the cranberry sauce: In a small saucepan over medium-high heat, combine the cranberries, sugar, lemon zest, and water. Cook, stirring frequently, until mixture comes to a boil. 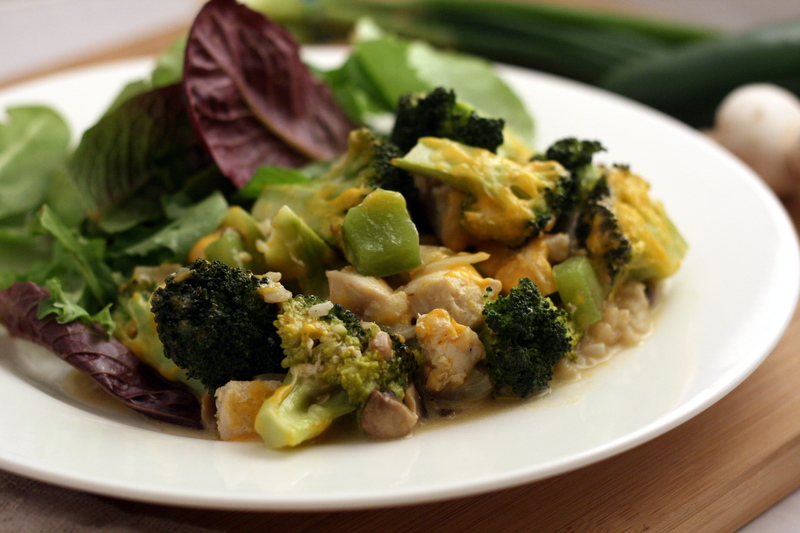 Reduce to a simmer and continue cooking, stirring frequently, until mixture thickens. Remove from heat and set aside to cool. Prepare the crust: In a small bowl, combine the graham cracker crumbs and melted butter. Stir together until well combined. Spoon a heaping teaspoon of graham cracker crumbs into the bottom of each liner. Press down to pack into a crust; I found a shot glass worked really well for this step. Bake in preheated oven for 5 minutes. Remove and allow to cool. Prepare the filling: In the bowl of an electric mixer, beat the cream cheese on medium-high speed or until smooth and fluffy. Mix in the sugar, vanilla, and salt until well combined. Add in eggs one at a time, beating well after each addition. To assemble the cheescakes: Fill each liner 3/4 of the way with cheesecake filling. 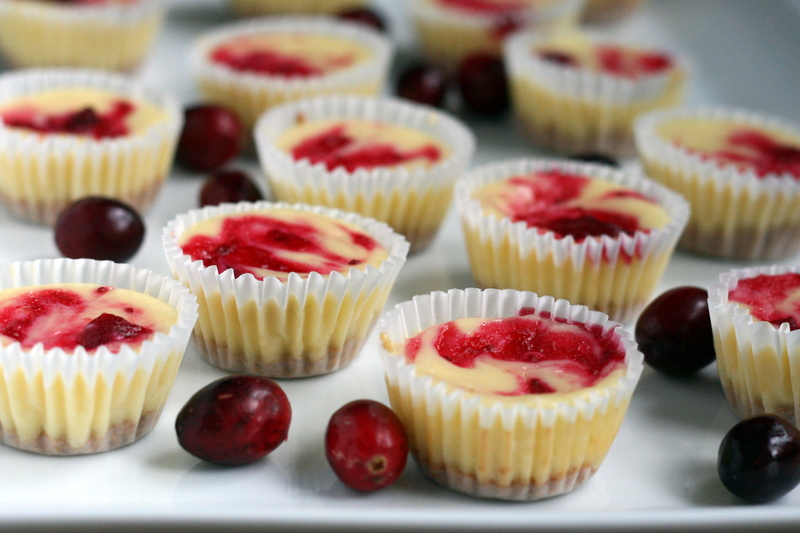 Carefully place 1/4 – 1/2 teaspoon of cranberry sauce on top of the cheescake filling. Swirl the cranberry sauce using a toothpick to create a marbled effect. 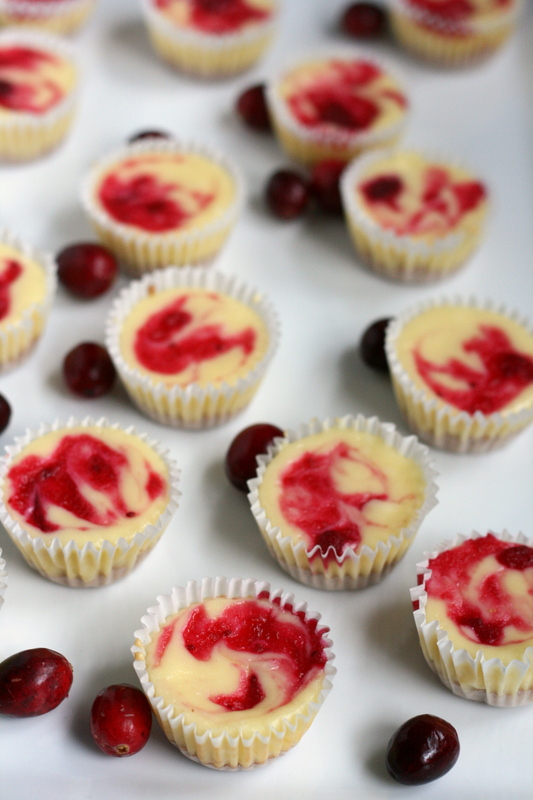 Bake cheesecakes in preheated oven for about 15 minutes, or until cheesecake is set. Allow cheesecakes to cool in pan on a wire rack. Once cool, cover with plastic wrap and refrigerate for at least one hour. Categories: Dessert, Food, Quick & Easy | Tags: cheesecake, dessert, quick and easy | Permalink. These beauts were made for this month’s gingerbread-themed What’s Baking, hosted by Catherine at Pursuing a Domestic Goddess-ness. When I found out that the theme was gingerbread, I knew immediately that I just had to make some cinnamon rolls. There are few sweet brunch foods that I like. Waffles and pancakes? No thanks. But, cinnamon rolls are one food that I can get behind. Soft, fluffy, warm-from-the-oven bundles of goodness. Gingerbread and a bit of apple make these the ultimate winter breakfast or brunch dish. 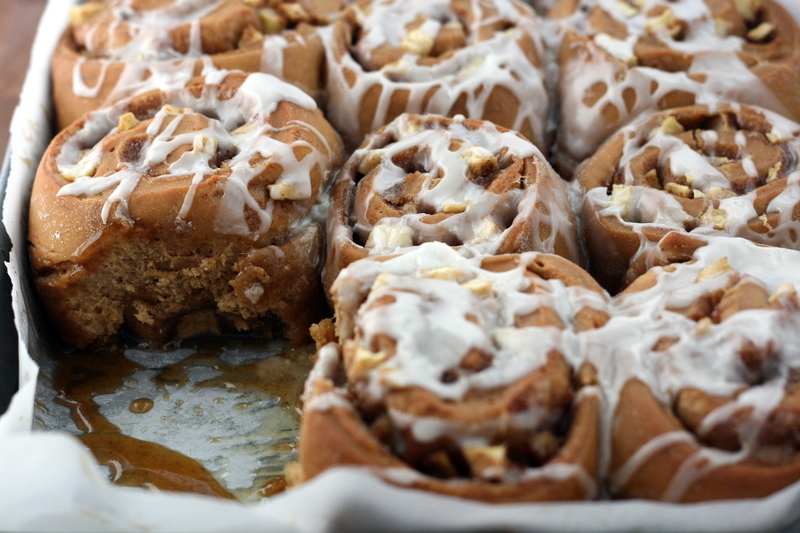 Make someone’s day by waking them up with some fresh-baked cinnamon rolls. Heat milk to 115°F. Stir in yeast and 1 teaspoon sugar until evenly dispersed. Set aside for 10 minutes to proof. In the bowl of a stand mixer, combine 4 cups flour, brown sugar, salt, cinnamon, ginger, and nutmeg. Set mixer on low and slowly add in yeast mixture, egg, butter, and molasses. Add in remaining flour 1/4 cup at a time, kneading well after each addition, until dough turns smooth and soft but still slightly sticky. Transfer dough to a lightly greased bowl. Cover and let rise in a warm location for 1 hour, or until doubled in size. Line a 9×13-inch pan with parchment paper and set aside. Lightly flour your work surface. Turn dough out onto surface and roll into a 20×13-inch rectangle. Spread softened butter over the entire surface. Sprinkle evenly with brown sugar and cinnamon. Distribute diced apples over the entire surface. Starting at the long end closest to you, tightly roll the cinnamon roll up. Gently pinch the end to seal and turn the roll seam-side down. Cut into 12 equal pieces. Place rolls into prepared baking pan. Cover tightly with plastic wrap and refrigerate overnight. Remove rolls from the refrigerator and allow to sit at room temperature for 45 minutes. Preheat oven to 350°F. Bake for 35 – 40 minutes or until lightly browned. Prepare the icing: In a medium bowl, combine powdered sugar, vanilla extract, and milk and whisk until smooth. 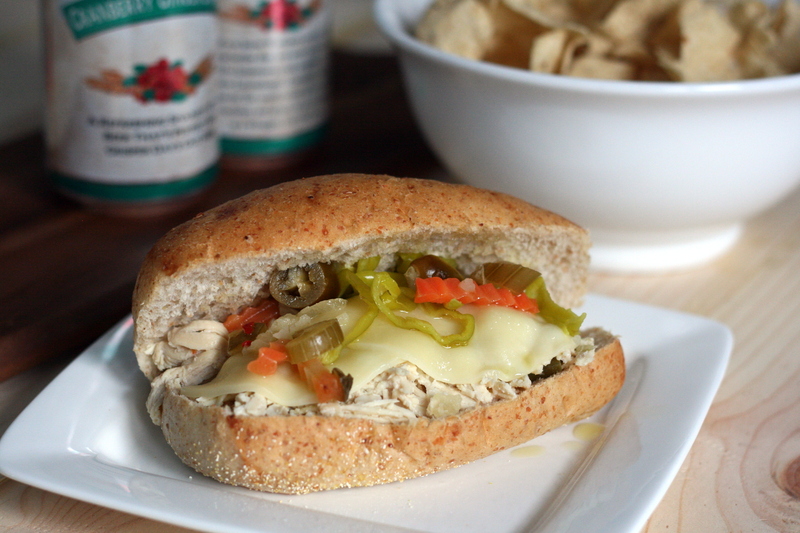 Drizzle over warm rolls and serve. Categories: Bread, Muffins & Rolls, Breakfast & Brunch, Dessert, Food | Tags: breakfast, brunch, dessert, rolls | Permalink.